Chronic pain management, brain injury, opioid use standards, medical malpractice, pain practice standards, dental pain injuries, wrongful death, addiction treatment standards. Board Certified in Neurology, Pain Medicine and Addiction Medicine. Chronic pain and addiction medicine, dental pain / injuries, standards of care in the use of scheduled drugs, standards of care in addiction treatment, doctor malpractice, litigation support for plaintiff and legal firms. 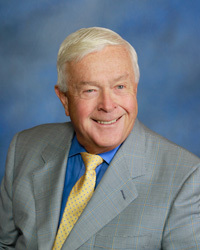 Dr. Stieg has been a strong advocate of volunteerism and has spent much of his career serving a variety of not for profit organizations (see curriculum vitae for details) as a writer, editor, website developer, teacher, researcher, and member of numerous committees and boards of directors. In 1994 he served as the 10th president of the American Academy of Pain Management (AAPM).